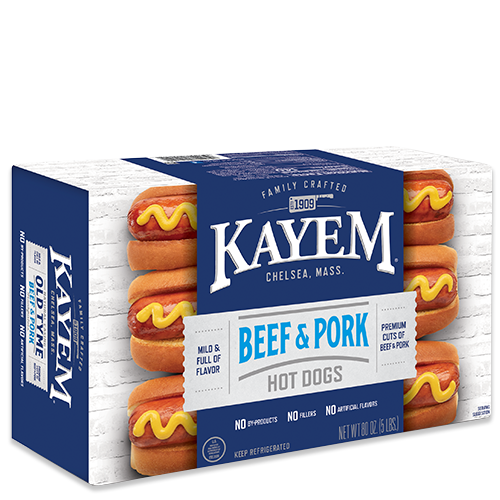 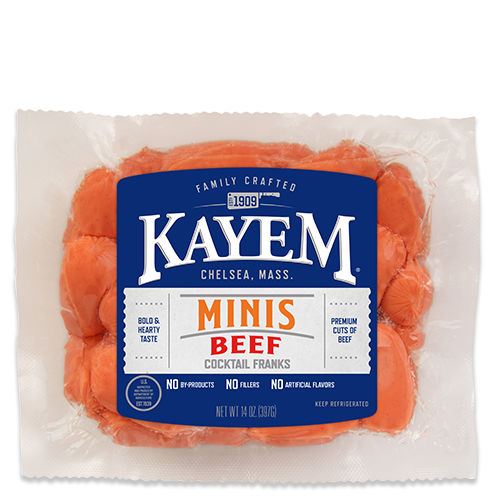 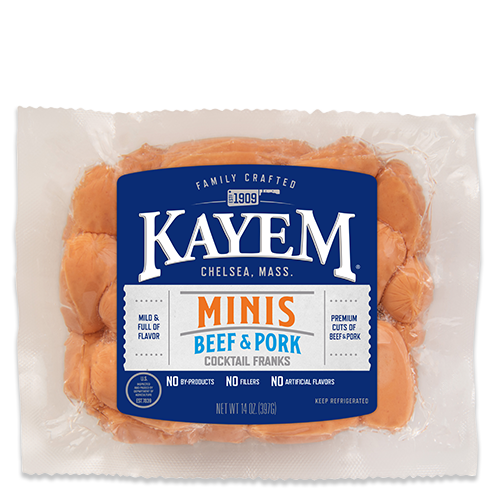 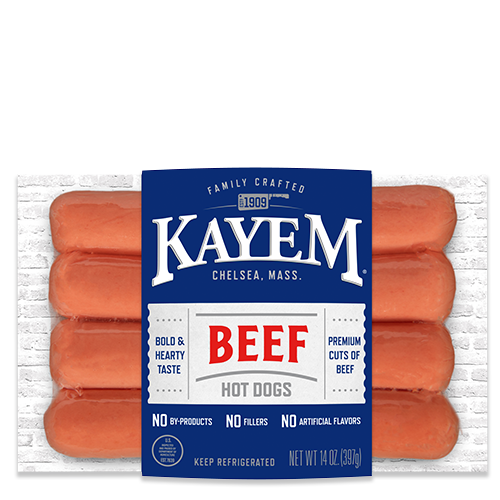 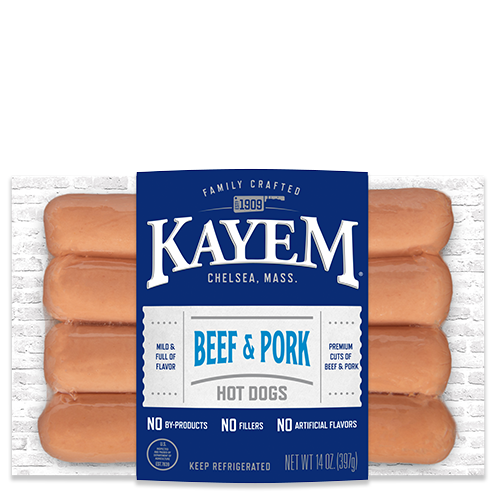 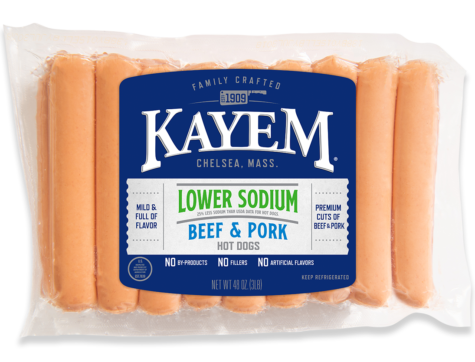 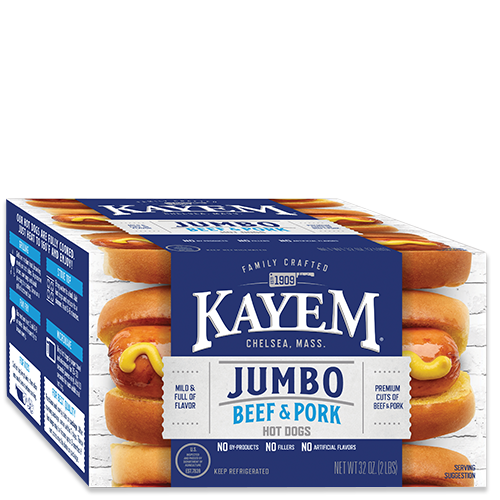 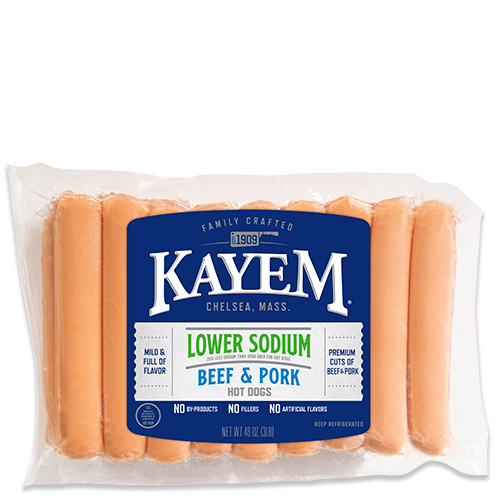 When you need to watch your sodium but also want a delicious frank, grill up these Kayem Lower Sodium Hot Dogs. 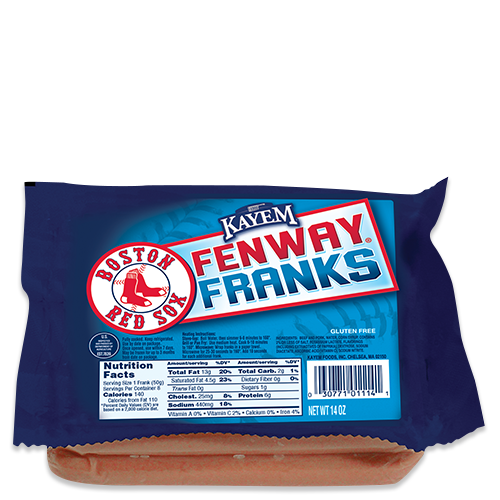 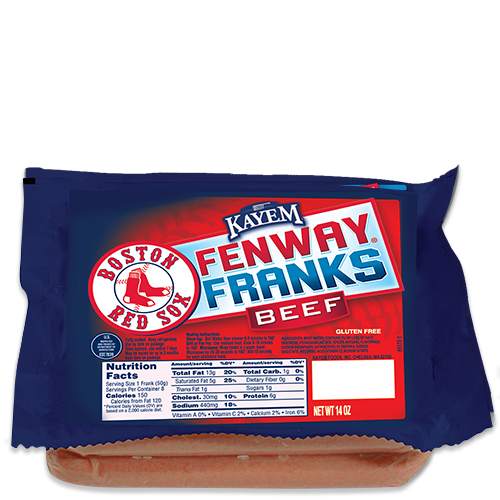 Made with premium cuts of beef and pork, these franks are mild and full of flavor so you won’t be missing out on anything but the sodium. 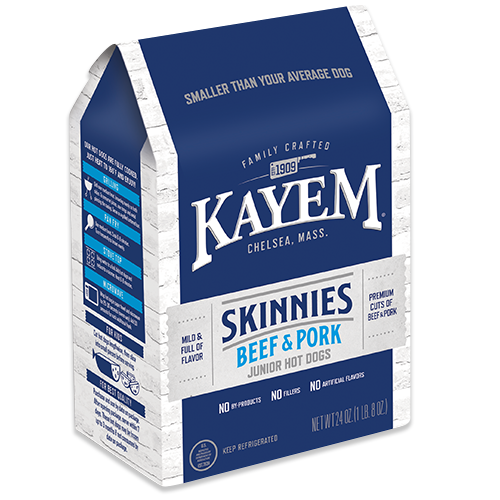 Beef and pork, water, corn syrup, contains 2% or less of salt, potassium lactate, flavorings, (including extractives of paprika), dextrose, sodium diacetate, ascorbic acid (vitamin C), sodium nitrite.